Remember Lucid Motors? 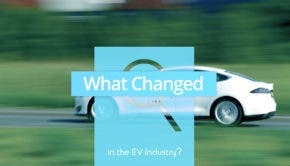 It’s that electric car startup that began life as Atieva back in 2007. It was founded by Bernard Tse, who was previously a vice president of Tesla, and Sam Weng, a former executive at Oracle. Its financial backers included Jia Yueting, the Chinese billionaire behind Faraday Future, and Chinese automaker BAIC. In researching this story, I went back into the CleanTechnica files and was surprised to find we had written barely a word about the company since July of last year when we reported a prototype of the Lucid Air sedan had achieved a top speed of 235 miles per hour. Since then? Silence. There had been talk back in 2016 of a factory in Arizona and last fall of new headquarters in Silicon Valley, but while Tesla has been going through production hell, Lucid seems to have been in suspended animation mode. Now comes word from Reuters that Saudi Arabia’s Sovereign Wealth Fund is in talks with Lucid that could result in an investment in the moribund company of up to $1 billion. It’s all very hush hush at this moment, as the people talking to Reuters are not supposed to be talking to anyone about the proposed deal. In fact, no deal may happen at all, the sources insist. If it does, the Saudi investment will give it a controlling interest in the company. Apparently, the Saudis are prepared to put up $500 million initially, with the balance of the investment coming later as certain production milestones are reached. Reuters claims Lucid expects to begin production before the end of this year, but if anyone has photos of an actual Lucid factory anywhere in the US, could you please send them along? In the absence of a significant cash injection from the Saudis or another source, the idea of Lucid being anything other than a creator of prototype vehicles seems to be a stretch. Interestingly, the Saudi Sovereign Wealth Fund has also been mentioned recently as a possible major investor in Tesla if Elon Musk’s plan to take the company private actually comes to fruition. The Saudis have already accumulated about a 5% stake in Tesla by buying its shares in the open market. Everybody else seems to pooh pooh the idea of the world transitioning away from oil before the end of this century, but the Saudis — who happen to be sitting on top of the biggest puddle of easily recoverable oil in the entire world — apparently have read the tea leaves and decided the country should diversify while there is still time. Odd that no one else seems to see what the Saudis see quite clearly.